TerraCom’s predecessor, Guildford Coal, was a proud sponsor the Townsville Fire in the National Women’s Basketball League (WNBL). The Fire, Queensland’s only team in the league, made it through to the Grand Final of the WNBL in 2013 and won the Grand Final in 2014. (L) Peter Lindsay hands out basketballs to Fire fans. (R) Townsville Mayor Jenny Hill being presented with a game day basketball by Peter Lindsay. TerraCom sponsored player, Kayla Standish, shoots a winner in the opening game of the 2014 WMBL season. While North Queensland Cowboys have proven their sustainability in the region, local corporate support has been critical to keeping the Club performing at the elite level. 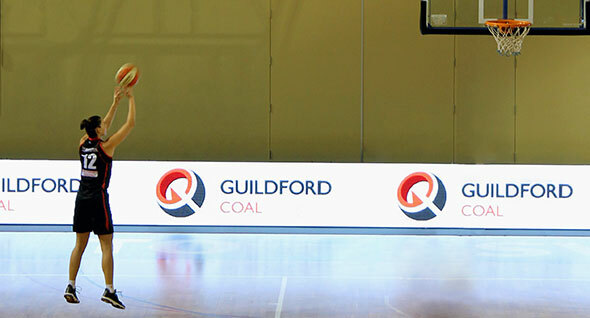 For 3 season until 2014, Guildford Coal was a major sponsor of the North’s favorite sporting team. This included support for the Laurie Spina Shield junior competition and the Cowboys popular community membership program. TerraCom understands the benefit of working cooperatively with local communities to progress its projects in Australia and Mongolia. Supporting community projects, events, people, and organisations is just one way TerraCom is building that local partnership. TerraCom’s projects have the potential to deliver significant benefits to communities across Queensland. Guildford Coal built strong local connections through donations and sponsorships, and was committed to a positive program of engagement in every community where it operated. TerraCom will continue this approach. Guildford Coal was also committed to getting to know local people through direct support of some great local events. Over the past few years, the company sponsored many events such as the Hughenden Campdraft, Hughenden Country Music Festival, Porcupine Gorge Challenge, 10 Days in the Towers Festival, Pentland and Homestead Primary Schools, Charters Towers Eisteddfod, Towers Players local theatre group and Charters Towers NYE celebrations as well as numerous other minor community events.